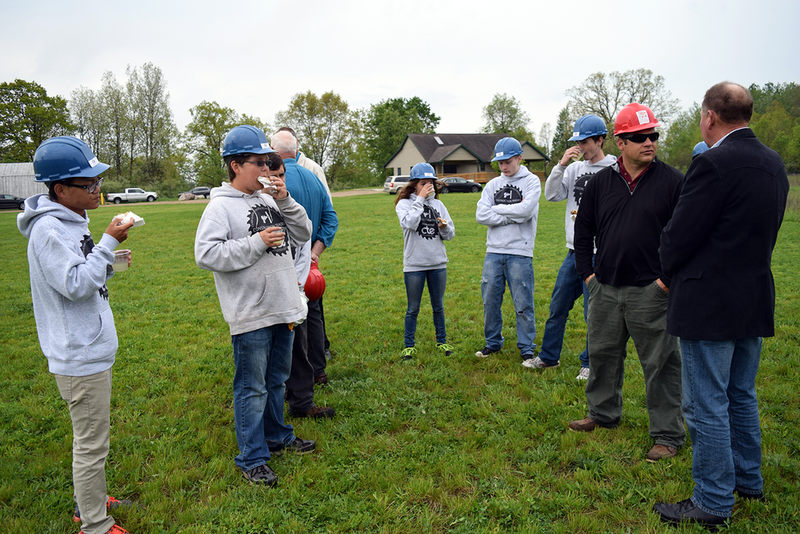 CTE BREAKS GROUND ON NEW CONSTRUCTION TRADES BUILDING — CTE: It's Working! 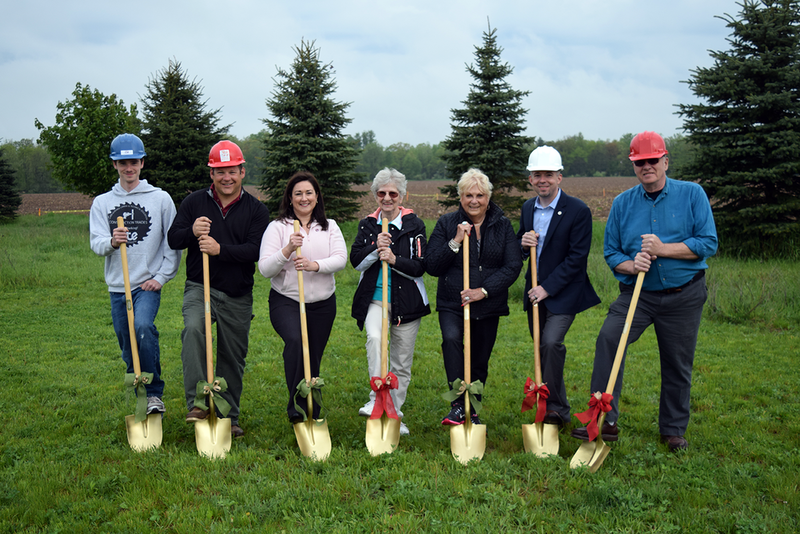 (CLARE) – The Clare-Gladwin Regional Education Service District’s Career & Technical Education program officially broke ground recently on its new Construction Trades building, and for its stakeholders, the arrival of a permanent home for students in the program can’t come too soon. 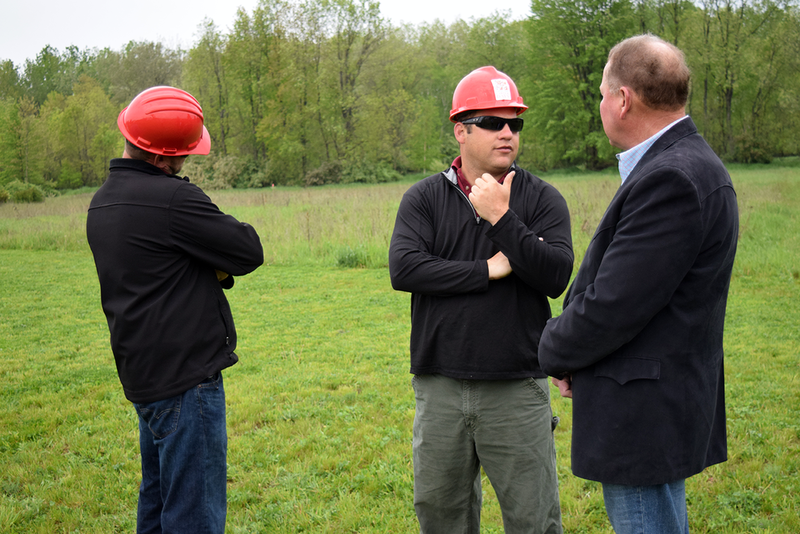 Construction on the 17,000 square-foot facility, which will house Construction Trades students from high schools in Harrison, Farwell, Beaverton, Clare and Gladwin, will begin this summer. The building is expected to be ready for students by January, and those students will aid in its construction this fall. Following completion, they will occupy part of the building; the remaining area is expected to house an additional CTE program within a year or two. The ceremony took place May 24. The new building will join other CGRESD/CTE facilities on the property known as The John C. Magnus Center. 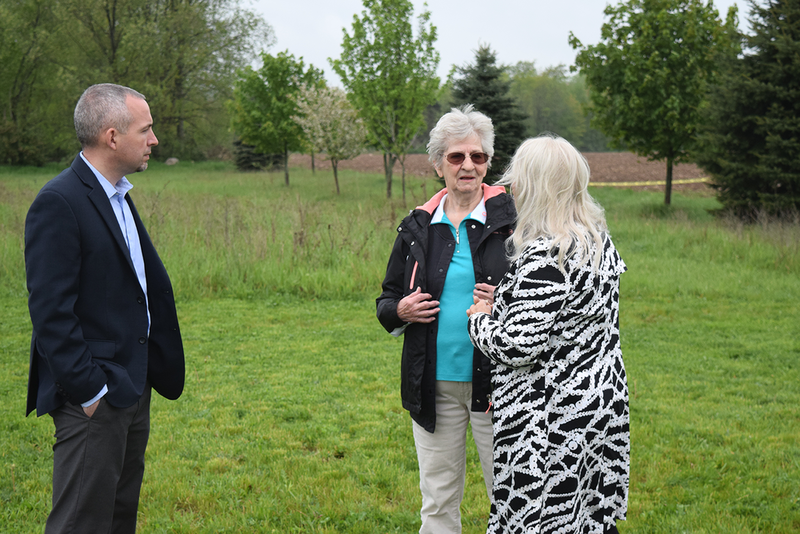 That property – now paired with adjoining farm land acquired by CGRESD last year – was donated by the Magnus family in 2013 with the desire that it be used by CTE and special education students. In addition to the construction students currently learning at the property, the Magnus Center also houses CTE’s Health Occupations program, as well as facilities for special education students to learn important life skills. Magnus’ widow, Verna Magnus Green, and Joe Magnus, a neighbor and frequent volunteer in the Construction Trades program, were on hand for the groundbreaking ceremony. 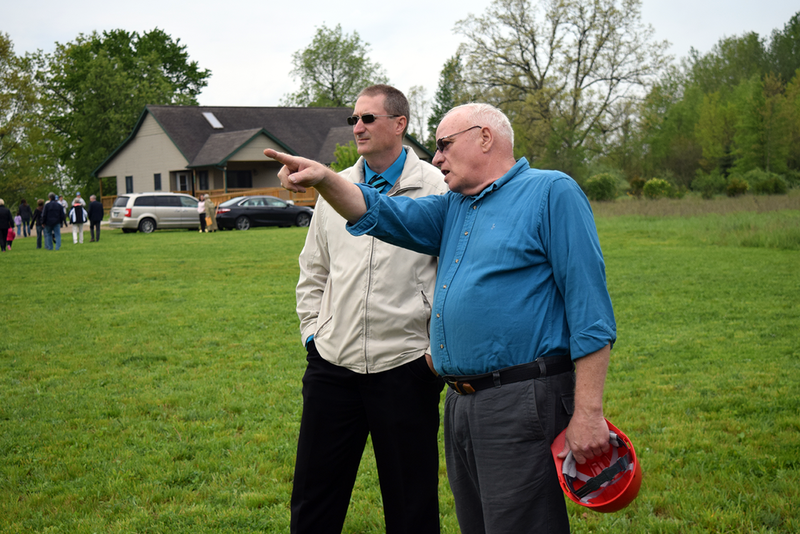 The affair also included other CTE stakeholders, including Presler, state Rep. Jason Wentworth, CGRESD Board Members Barbara Richards, Lynn Grim, Sue Murawski and Clay Maxwell, and several CTE staffers and students. Following its standard bid process for construction projects, CGRESD selected Midland’s Three Rivers Corp. as the general contractor; several local vendors will serve as either suppliers or subcontactors. The facility will give construction students their first permanent home, as opposed to classrooms they’ve often occupied the past several years where projects were limited in scale and complexity. A celebration and community open house will take place when the building officially opens this winter. 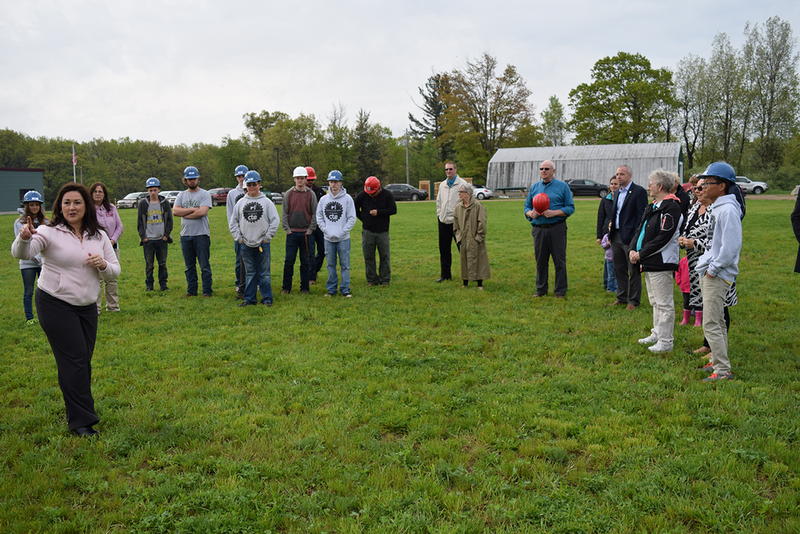 While Construction Trades students will benefit from the additional space and materials, Presler noted that the community will continue to benefit as well. Students spent this past school year building a house in Gladwin through its ongoing partnership with the Gladwin County Land Bank Authority, and they renovated a portion of the Harrison Senior Center as well. Projects like those will continue in the future, combining the necessary curriculum of the classroom with the real-world experience of working in the community.